You will never succeed in fulfilling God's purpose in your life if you do not know how to pray according to Biblical principles. You can learn to pray a fervent, red hot prayer that will get immediate and mighty answers from Heaven. 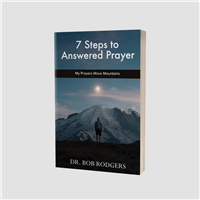 Dr. Bob Rodgers shares the Seven Steps to Answered Prayer everyone needs in their life. Experiance the true power of prayer when you learn to pray prayers that get answered with Dr. Rodgers book on prayer. 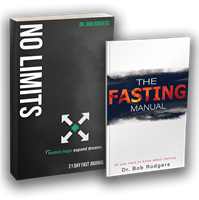 PLUS get the 21 prayer and fasting journal and a free cd teaching on prrayer and fasting. Get your Olive wood Jerusalem Prayer Cross today straight from the Land of The Bible.